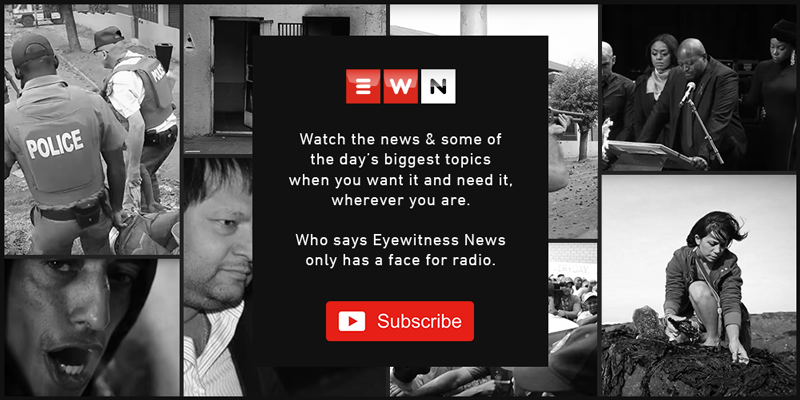 A series by EWN looks at the plight of pensioners who survive on roughly R1,400 a month. CAPE TOWN - It's a monthly struggle for many senior citizens to make do with their meager pensions. Pensioners say they're battling to make ends meet with many still forced to turn over every cent to get them through the month. Government currently provides more than 3 million elderly people with a monthly pension grant of R1,400. Those over 75 years receive an extra R20. Although pensions increased this year by more than the inflation rate, many pensioners are still forced to turn over every cent to get them through the month. She divides a loaf of bread by putting two slices each into a plastic bag and stacking them in her freezer so that it can last an entire week. 65-year-old Sally Cervati says storing her food in the freezer is the only way she can survive. The Kraaifontein resident receives a monthly old age pension of R1,400 and explains how she's struggling to make ends meet. "My rent is R1,100. I'm paying a tithe. I believe that I'm surviving on blessings with the R300 left over. I have to buy food and I have two funeral plans." The government spent about R53 billion on pensions this year and they increased by slightly more than the inflation rate. But for Sally, this is little comfort as she says she still struggles to make ends meet every month. A Kraaifontein grandmother says several illegal deductions from her South African Social Service Agency (Sassa) pension for airtime and electricity have left a large hole in her pocket. Social Justice group, the Black Sash, which started the 'Hands Off Our Grants' campaign in November 2013 and logged and investigated hundreds of complaints from pensioners across the country since then. In most cases deductions from pensions are for airtime, electricity, water and funeral cover. 75-year-old Maureen Malgas says she and her husband both received a R100 less when they withdrew last month's pension. She adds they received no explanation for the deduction of R200. "It was short on our food and electricity. It was very hard to survive because we live on our own. I can't just go to the shop and buy bread. I have to buy wheat and flour and knead my own bread." Sassa says of about 16 million South Africans currently receiving social grants about 500,000 are affected by unlawful or immoral debit deductions. According to the Social Security Act, no money should be ceded without the permission of a beneficiary. Sassa only allows for a deduction of up to 10 percent for a funeral policy. But this has been no comfort yet to Maureen who is still trying to stop the deductions on her pension. A Mitchells Plain woman who survives on her husband's pension says Sassa pension payout days are bitter-sweet. With rising food and utility costs, pensioners have to watch every cent to get them through the month. Eyewitness News accompanied pensioner Levona Carstens from Tafelsig, as she drew her ill husband's pension and went shopping. Lavona took a packet of sugar and a packet of salt and headed to a teller to withdraw this month's money. While standing in a snaking queue, she noticed a bag of frozen chicken was on special, and rushed to fetch one explaining a meal with chicken is like a delicacy to her family. "My children only get to eat chicken about once a month, so they're going to have big smiles on their faces when I surprise them with this tonight." Lavona says she doesn't have a cent left by the second week of a month. Like many pensioners, she cares for members of her extended family. Both her daughter and her sister have died, leaving her with nine children to raise. "Many days I have to worry about supper. But I always make a plan. I rather go to bed hungry than send the children to sleep without food..."
Lavona is also concerned by unexplained deductions for airtime and electricity she claimed she's never purchased.